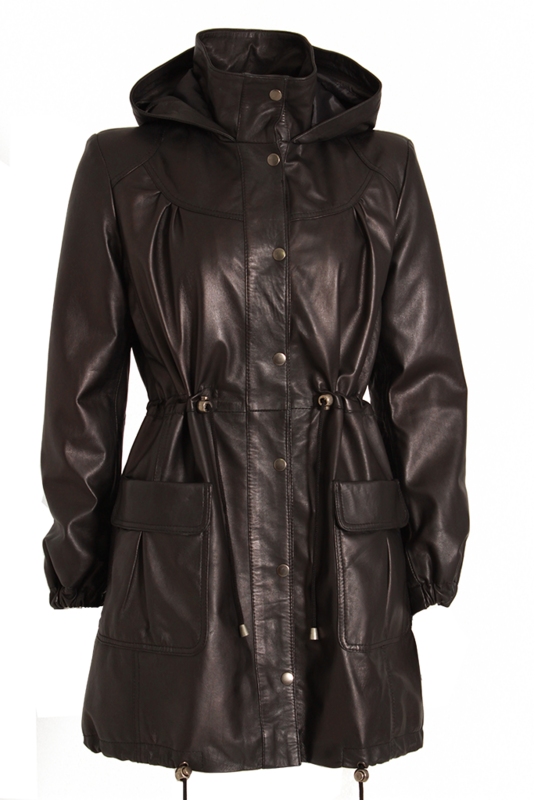 Delanna is a top sellar for us. 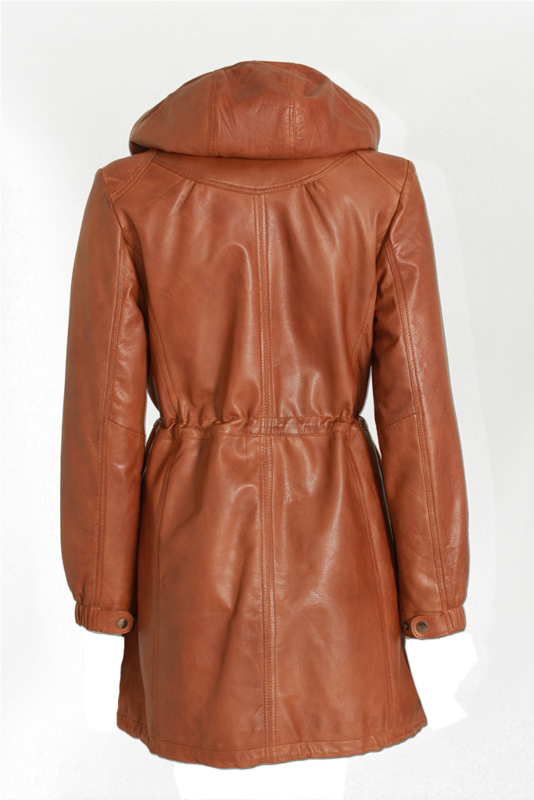 This is a classic hood coat. 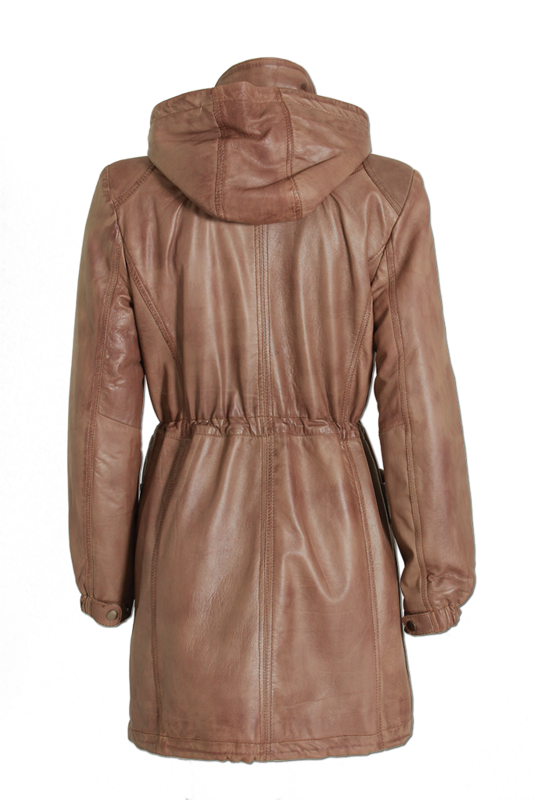 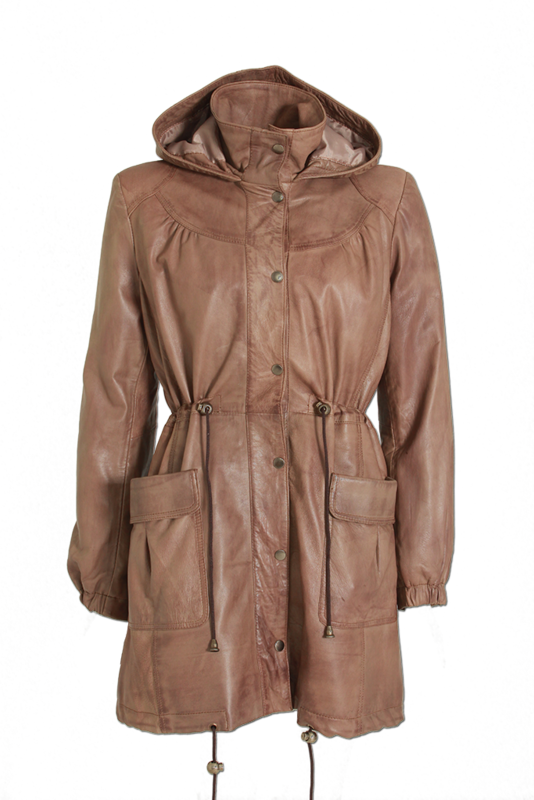 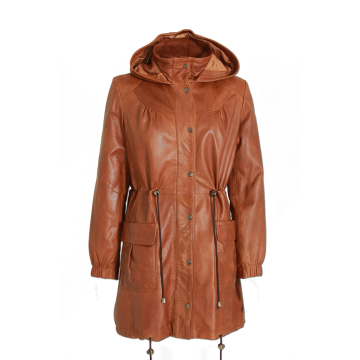 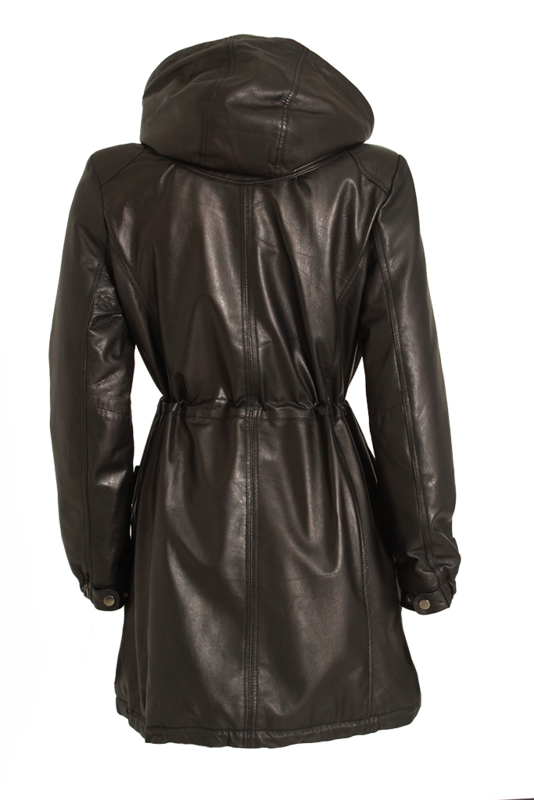 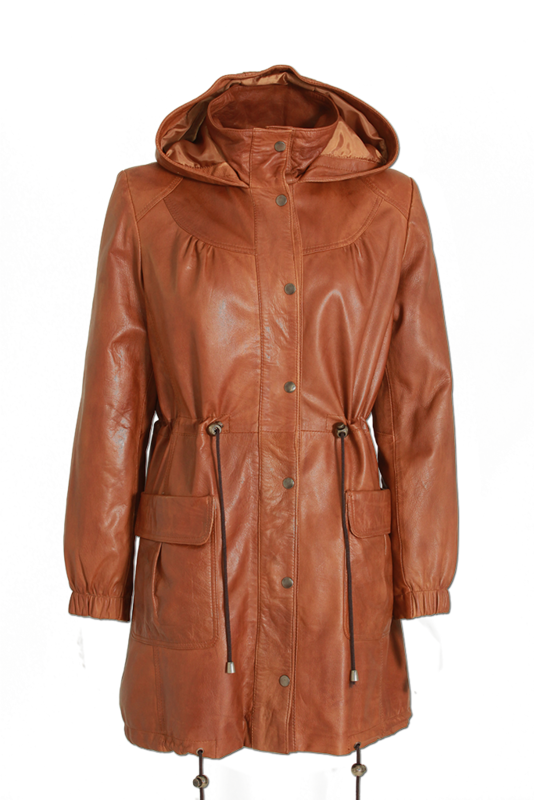 The coat has 2 front pockets below the waist and string function for fastened it’s simple but elegant and classic leather coat.